Midland Soccer Association welcomes recreational players three to eighteen years of age. Approximately 1800 players register each season, which works out to, on average, 230 teams. Each team is coached by a parent volunteer. Teams are formed according the players' birth years and their neighborhood elementary school. 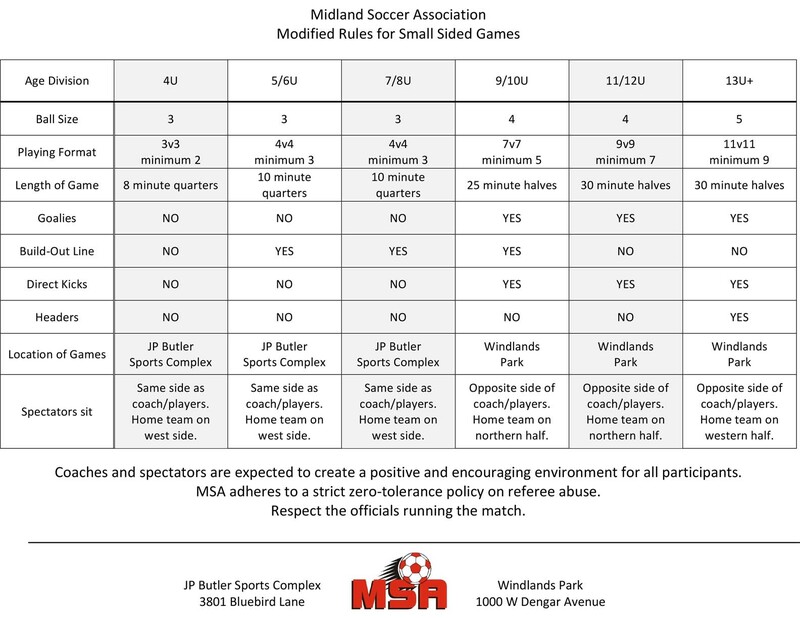 Each season, the teams are scheduled eight games and play at two parks, JP Butler Sports Complex and Windlands Park, provided exclusively for use by MSA. The 4U-8U teams compete at JP Butler Sports Complex and each player will receive a participation award at the conclusion of the season. 9U-19U teams compete at Windlands Park and rewards are given to the top three teams. The 11U-19U teams also compete against nearby associations such as Odessa SA, Lubbock SA, and San Angelo SA. In the Fall Season, the top placing team is invited to compete at the NTSSA Tournament of Champions! 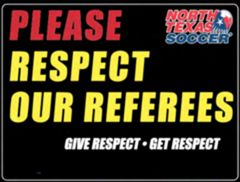 ©2019 Midland Soccer / SportsEngine. All Rights Reserved.